Emerald is an extremely beautiful gemstone that is comprised of the mineral Beryl. The Emerald Gemstone is known for its vibrant green color which distinguishes it from all other gemstones. Its physical characteristics make it at par with the most loved and precious gemstones such as Diamonds. Emerald stone is mostly produced in the mines in India, Columbia, Brazil and Zambia. It has the hardness of about 7.5 to 8 on the Moh’s scale. 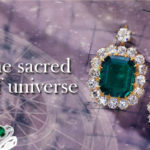 Emerald is also regarded highly in the world of astrology. Also referred to as Panna in India, Emerald is associated with the planet Mercury that represents wisdom, happiness, intellect, education and hope. Wearing an emerald can have a lot of benefits for a person. The stone is also known to symbolize affection and love and can bring great luck for the person who wears it closely to the skin. 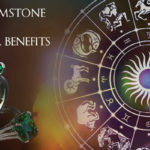 It is regarded as the birthstone for people born under the signs of Gemini as well as Virgo. How to wear the Emerald? 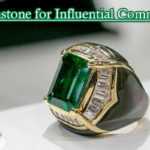 In order to obtain the maximum benefits from Emerald, you should closely follow the guidelines associated with wearing it. Not only you should do the proper puja before wearing the stone, but you should also wear it on the perfect day of the week. This can greatly determine your experience with the Panna stone. 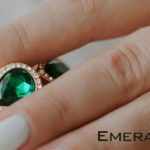 Before you wear the emerald, you should closely observe the following points so that its effectiveness can be enhanced. The Emerald stone should be at least 3.25 carats in its weight. Typically, the weight of an emerald varies between 3 and 6 carats. The stone should be placed within a ring that is made of silver or gold in order to have the best results. The ring should touch the skin once worn. The ideal time for wearing the Emerald is on the day on Wednesday at sunrise. Keep the pendant or the ring in the bowl for about 5 to 10 minutes. You can then take the ring or pendant out from the bowl, clean it with water and wear it on your little finger. It is also quite easy these days to buy emerald gemstone online. There are many benefits of wearing emerald. Some of them have been listed below. It can provide a person with concentration and intelligence that is needed to achieve academic brilliance. It can enhance self pride and mental strength. 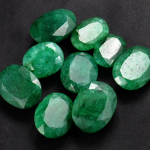 Emerald can also bring plenty of fortunes in professions that are guided by Mercury. Emerald ensures peaceful life for the wearer and leads to harmonious relationships within the family. The Emerald stone offers exceptional healing powers which can be used for enhancing blood circulation as well as cure diseases like diarrhea, asthma, ulcers and stammering. The stone can minimize the symptoms of insomnia and remove negativities from the mind. People wearing emerald can achieve total peace of mind and experience greater levels of tolerance. Emerald is a great stone when you are looking to enhance the strength of your mind. Wearing this stone can actually increase your memory; make you a bold person as well as a better conversationalist. It is known that people having weak Mercury can benefit a lot from wearing Emerald as it can make one’s mind sharper. However, the following people should not wear an Emerald under any circumstances.